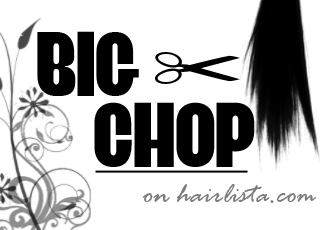 Big Chop Showcase on Hairlista.com - Hairlicious Inc. The Hairlista Inc. Team is aware that chopping off your hair and starting fresh is a monumental moment in one`s life! As a result, Hairlista would like to congratulate and embrace those who have taken the big step. your hair goals as a new Naturalista! The Big chop series strives to celebrate this wonderful milestone with the goal of encouraging and inspiring others on their hair journey.